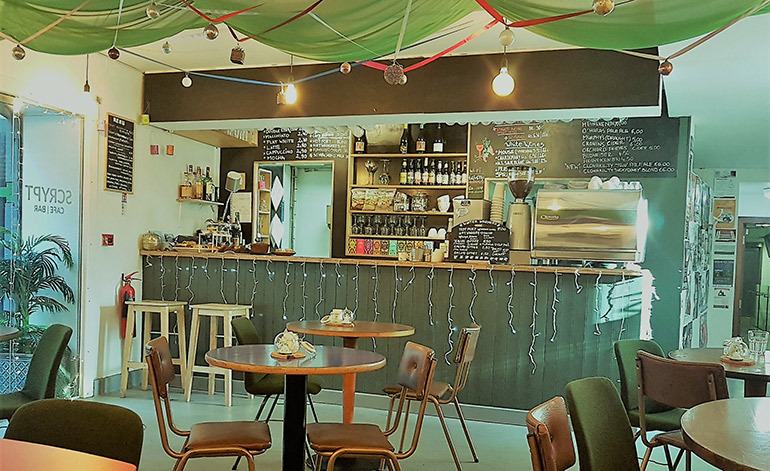 A colourful buzzy 25-seater café bar adjoining Triskel Christchurch that serves fresh baked goods and speciality coffees daily. Food such as soups, sandwiches, salads and special hot dishes available all day til 9pm. By night the café takes on a chilled laid-back wine bar feel, with candlelit tables and tasty nibbles on offer. The café offers a range of cinema treats and alcoholic beverages that can be taken into the cinema in the church as well as gigs and performances. Scrypt boasts a beautiful garden that adjoins the church where you can lounge and sip a vino or a coffee al fresco. Scrypt takes bookings for private parties. Please call Rose or message on Facebook at Scrypt Cafe Bar. A combination of stalls of local crafts, foodies, vintage clothing and wellness as well as a doggie treats stand for the dog lovers, the Night Markets have been a great success since they started over that gorgeous hot summer. They’ll be popping up every now and then so keep an eye on our social media! 10% discount on all take away food and drinks to bring into Triskel Christchurch. Please present your ticket to avail of these offers.